India, on Thursday, reiterated at the United Nations Human Rights Council, that it is a secular state with no state religion, and that safeguarding the rights of minorities forms an essential core of its polity, as it came under criticism from Pakistan over treatment of minorities. 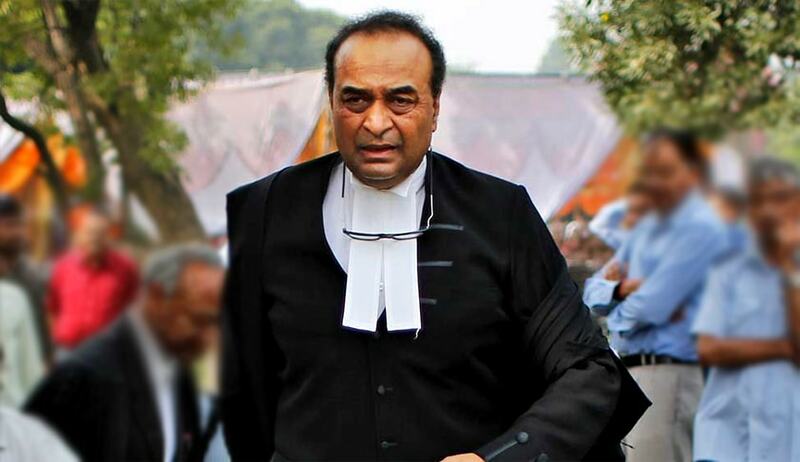 Speaking at the 27th session of the Universal Periodic Review Working Group in Geneva, Attorney General Mukul Rohatgi emphasized on the spirit of “Vasudhaiva Kutumbakam”, as imbibed in “India’s ancient wisdom”, and flaunted the country’s openness and diversity, which he claimed is reflected in India’s polity as well. Mr. Rohatgi repeatedly mentioned the pivotal role played by the judiciary in upholding human rights in the country. On one occasion, without naming Yakub Memon, he mentioned how he was summoned at 2 in the morning by the Supreme Court to hear his appeal. “The Right to fair trial and free legal aid up to the highest court are enshrined as Fundamental Rights in the Constitution of India and thus guaranteed to all individuals. So much so that as the Attorney General of India, I was summoned by the Supreme Court at 2 in the morning to hear a last-ditch petition, after several rounds of litigation, by a convict who was guilty of terrorism to escape punishment. This shows the importance attached to upholding of human rights by India,” he was quoted as saying. He also spoke about the Apex Court’s judgement directing the government to declare transgender persons as a ‘third gender’ and included them as an “Other Backward Class” entitled to affirmative action benefits. Mr. Rohatgi then went on to address the concerns raised regarding Indian judiciary’s ability for redressal of rights violations due to barriers to access to justice. He drew the attention of the Council to the Law Commission’s recommendations on institutional changes to facilitate timely justice, which are being considered by the Government and the Supreme Court of India. Further, assuring the Council of India’s commitment to tackle the issue of global warming, he drew its attention to the Supreme Court having recognized the right to clean environment as a part of an individual’s right to life guaranteed by the Constitution of India. During the address, the AG apprised the Council of several Government initiatives such as the Smart Cities, Make in India, Beti Bachao Beti Padhao, Swachh Bhara, Aadhaar Unique Identification Number, Mahatma Gandhi National Rural Employment Guarantee Scheme, Jan Dhan Yojana, Accessible India Campaign and Start up India. He further shared the country’s vision to develop India into the “Skill Capital” of the world through the “Skill India Initiative”, in view of the fact that 60% of its population is below 35 years of age. He cited with pride the Maternity Benefits Amendment Act, 2017, which provides extended maternity leave, crèche facilities, and flexible working hours to facilitate women’s equal access to employment opportunities. These initiatives, he said, mirror the targets of the Seventeen Sustainable Development Goals for achieving the 2030 Agenda. While several Government panels present at the meeting were reportedly of the view that the Armed Forces Special Powers Act (AFSPA) should be repealed, Mr. Rohatgi gave no assurances of its removal, merely stating that the Act applies to very few areas, which are in proximity to some international borders. “Whether this Act should be repealed or not is a matter of on-going vibrant political debate in my country,” he further said. It is my privilege to welcome you all to India’s Third Universal Periodic Review. India would like to compliment the UN Human Rights Council on the continued relevance of the process of UPR, which in the course of its two cycles, has emerged as a unique peer review mechanism. We remain convinced of its effectiveness in encouraging the promotion and protection of human rights in all parts of the world. We have been steadfast in adhering to the requirements of the process. India's ancient wisdom sees the world as one family “Vasudhaiva Kutumbakam”. This ethos is reflected in the Indian tradition of openness and diversity; co-existence and cooperation. Along with being the world’s largest democracy, Indian polity also weaves in immense diversity with respect for tolerance and mutual understanding. India believes that achieving human rights goals calls for constant dialogue, engagement and coordination among various stakeholders. As a responsible member of the United Nations, my country remains committed towards meaningful engagement with international organizations as well as other States in a spirit of reciprocity with a common desire for a better world. The UPR national report drafting process has been treated by us as an opportunity to receive feedback on our laws and policies. We followed a broad-based consultative approach. The report that is with you aims at enabling engagement, conversation, and dialogue on a whole range of themes and issues. To this end, the report highlights the achievements, challenges and constraints that we would like to share with you in India’s human rights journey. Supported by a rights oriented constitutional framework, secular polity, independent judiciary, free and vibrant media, vocal civil society, and a range of national and state level commissions that monitor compliance with human rights, India continues with its endeavours towards observance of human rights. Our government’s motto of “Sabka Saath, Sabka Vikas” that is All Together and Development for All is a true reflection of our commitment to achieve inclusive development in the spirit of ‘leaving no one behind’. We remain convinced that inclusive and equitable development is the key to securing a life of dignity, security, empowerment and freedom for all. Hence, we have been putting in place a set of robust socio-economic policies to address the various basic needs of people, including health, education, housing, poverty alleviation, women empowerment, food security, social security measures and the like. We have acknowledged the need for sustainable development and are aware of potential of conflict between competitive and inclusive growth. Keeping this in mind, we have been directing our development policies to ensure that the benefits reach all sections. My government attaches utmost priority to poverty eradication and achieving inclusive sustainable development. India continues to maintain that sustainable lifestyles, and sustainable patterns of consumption and production, are key to this objective. Major initiatives like Smart Cities, Make in India, Beti Bachao Beti Padhao--Celebrate the Girl Child and Enable her Education, Swachh Bharat--Clean India, Jan Dhan Yojana--Bank Accounts for All, Digital India, Skill India, Start up India etc. mirror the targets of the Seventeen Sustainable Development Goals for achieving the 2030 Agenda. An important plank of India’s development agenda, as well as of its push towards good governance and the creation of a knowledge society, has been the “Digital India” programme. This programme visualises transforming India into a digitally empowered society through increased connectivity, better access to knowledge, delivery of services, and e-governance through digital means. We have widened the coverage of the Aadhaar Unique Identification Number, to prevent leakages and to ensure targeted delivery of scheme benefits. To further institutionalize the project, the Aadhaar Targeted Delivery of Financial and other Subsidies, Benefits and Services Act, 2016 was passed by Parliament. A crucial legislation for identification and to receive social benefits directly in the bank accounts. Over a billion Aadhaar cards have been issued so far. Apart from improving governance structures, India’s development policy focuses on ensuring social security, right to work with just and favourable conditions, and to a range of socio-economic entitlements to all citizens. For instance, India has taken various steps to eliminate all forms of malnutrition. The National Food Security Act, 2013 aims to provide food and nutritional security to up to 75% of the rural population and 50% of the urban population through improvement in the Public Distribution System. The Act also makes provisions to meet the nutritional requirements of pregnant women, malnourished children, and homeless and destitute persons. This law has now been implemented throughout the country. The Act also has a strong gender component, in keeping with our commitment to gender mainstreaming. The Act stipulates that the eldest adult woman member be designated the head of the household on the ration card for access to the public distribution system. We have also continued with our efforts in addressing child malnutrition. The coverage of the Integrated Child Development Scheme has been expanded for better nutrition, health, and overall development of children that are less than 6 years old. It also provides nutritional and health support to pregnant and lactating mothers. We continue to work towards effective implementation of the Mid-Day Meal scheme in government-run schools. To secure the right to work, and the right to livelihood, the Mahatma Gandhi National Rural Employment Guarantee Scheme has been the flagship employment programme. It is an entitlement based law covering the entire country wherein citizens in the rural areas get the opportunity to have gainful employment at their doorstep. Allocation for this Scheme has increased consistently over years. The new feature is that the wages are compulsorily transferred directly in the bank accounts of the beneficiaries. I am pleased to share with you that women availed nearly 60% of the total work days created under this Scheme. We have also been encouraged by the employment generation through cooperative training programmes. India remains a young nation with over 60% of the population below the age of 35. My government seeks to develop India into the “Skill Capital” of the world through the “Skill India Initiative.” We are working with several other countries in a mutually beneficial manner and the youth are the main beneficiaries. Education is a fundamental pillar of development in any society. India therefore prioritises inclusive and quality education for all. It continues to support various programmes and policies for universalising educational opportunities with special emphasis on the girl child. We have also overhauled the mechanism for evaluating compliance with labour laws. Through a Unified Labour Web Portal, employers are required to file returns giving details of their compliance with labour laws. We believe that the move from an inspection-based to a self-reporting mechanism should streamline nation-wide compliance with labour laws, and targeted inspection based on objective criteria should protect the rights of employees. India has also taken various steps to promote equal participation by women in the workforce. To ensure a safe and dignified work environment, and to facilitate overall socio-economic empowerment of women, we have enacted a law requiring employers to provide effective redressal to women complaining of sexual harassment, and to take other measures necessary for fostering a gender sensitive, safe working environment for women. Recognizing that women bear a large share of familial care- giving responsibilities, which adversely impacts their optimal participation in the workforce, the Government is committed to restructuring of workspaces to make them more sensitive to women’s social circumstances. The Maternity Benefits Amendment Act, 2017 provides extended maternity leave, crèche facilities, and flexible working hours to facilitate women’s equal access to employment opportunities. In all its policies, India seeks to ensure inclusive development and the protection of rights of vulnerable groups. We have enacted a range of laws to address sexual assault and other gender based crimes. We have overhauled the legal framework for dealing with child sexual assault. To better protect children from exploitative conditions and to ensure that they have freedom, dignity and opportunity, the National Child Policy, 2013 has put in place a rights- based policy framework for addressing children’s needs. Similarly, the Child Labour Prohibition Act protects children from exploitation. We remain deeply committed towards reinforcing and accelerating the efforts towards combating human trafficking. Through amendments to criminal laws, we now provide stringent punishment for trafficking. Since we recognise that a law enforcement response is only a partial step towards addressing the multiple human rights violations that a trafficked person suffers, we have been putting in place various schemes for rehabilitation of survivors of trafficking. To comprehensively address issues relating to human trafficking, the Government is in advanced consultations with stakeholders on a new Anti-Human Trafficking Bill. India has been at the forefront of recognizing the equal rights of transgender persons. In April 2014 the Indian Supreme Court gave a landmark judgment directing the government to declare transgender persons as a ‘third gender’ and included them as an “Other Backward Class” entitled to affirmative action benefits. The Court also reinforced that they should have all rights under law, including marriage, adoption, divorce, succession and inheritance. India has made significant progress in addressing the special needs of persons with disabilities through our Accessible India Campaign, and by overhauling our legislative framework on the rights of persons with disabilities and the rights of persons with mental health issues. My government remains committed to provide conducive environment to persons with special abilities to fulfill their potential. India has amended its laws to provide more stringent punishment for atrocities against persons belonging to the Scheduled Castes and Tribes. In addition, as you will see from the National Report, a range of policy measures have been put in place to address issues of social exclusion, deprivation and disadvantage that may be faced by such groups. India remains alert to the problem of Global Warming, and the necessity to factor in environmental sustainability in our development policies. The Supreme Court of India has recognized the right to clean environment as a part of an individual’s right to life guaranteed by the Constitution of India. India has been an active participant in the deliberations at the UNFCCC, and all international fora with respect to the efforts to combat Climate Change. We have articulated our belief in ethical and people-centric approach to Climate Change by espousing “Climate Justice”. India played a constructive role to aid the early entry into force of the Paris Agreement, and for the amendment to the Montreal Protocol. As part of the thrust towards fulfilling our people’s right to a clean environment, India has launched the Swachh Bharat Abhiyan-Clean India Campaign. This is a nationwide programme that aims to facilitate collective behavioural changes regarding practices of sanitation through community-led initiatives. The success of the campaign is reflected in the fact that the sanitation coverage in rural areas that stood at 38.76% in 2012–13 went up to 63.68% by April 2017. Some States have enacted a law that makes having a toilet in the house a pre-requisite for a prospective candidate to contest local self-government elections. Apart from working towards socio-economic development, India continues to adhere to its robust constitutional framework for the protection of civil liberties. We are proud of our Constitution and are committed to safeguarding the fundamental rights and fulfilling the Directive Principles of State Policy enshrined therein. These Constitutional provisions underpin the national identity of 1.25 billion people. Modern India’s commitment to Human Rights is the basic part of India’s Constitution. The Constitution provides for several Fundamental Rights of citizens and even non-citizens. The most basic of these rights is the Right to Life and Liberty provided in Article 21. The substance of this right is that no person whether citizen or otherwise can be deprived of life and liberty except in accordance with procedure established by law. There can be no arbitrary arrests or detention. A person who is detained has a right to move to a court of law. Even the Supreme Court of India can be moved directly by any person by filing a writ of Habeas Corpus for infraction of his or her rights. There can be no detention in jail or police station without sanction of the court. Aberrations, if any, are dealt with by our internal processes that include our fiercely independent judiciary, autonomous Human Rights Commission at both national and State levels, vigilant and vocal media and a vibrant civil society. All these institutions ensure that authorities remain respectful of constitutional and human rights norms. Concerns have been raised with regard to the Armed Forces Special Powers Act. However, this Act is applied only to disturbed areas where the law and order machinery is dealing with exigent circumstances like terrorism. These areas are very few and in proximity to some international borders. Whether this Act should be repealed or not is a matter of on-going vibrant political debate in my country. The Supreme Court of India has upheld the constitutionality of the Act and laid down strict guidelines. Recently, the Court held that the armed forces cannot use excessive force in the course of the discharge of their duties under the Act, which does not allow blanket immunity for perpetrators of unjustified deaths or offences. India remains committed to ratify the Convention against Torture. We believe in peace, non-violence and upholding human dignity. As such, the concept of torture is completely alien to our culture and it has no place in the governance of the nation. The Government requested the Law Commission of India to examine and give a comprehensive report covering all aspects of criminal law so that necessary amendments can be made in Indian Penal Code, Code of Criminal Procedures and Indian Evidence Act etc. The Law Commission of India has been examining the changes required to domestic law prior to carrying out the ratification process. In the meantime, acts of torture remain punishable under various provisions of the Indian Penal Code. The higher judiciary also serves as a bulwark against violations. For instance, the Supreme Court of India has recognized that long periods of incarceration on death row pending a decision on clemency amounts to torture, and has held that such delay is a ground for commuting the death sentence. India remains cognizant of another aspect of civil liberties that relates to extra-judicial killings. The Special Rapporteur on Extrajudicial, Summary or Arbitrary Executions has acknowledged drop in unlawful killings in India. India’s National Human Rights Commission has in place a robust monitoring mechanism for cases of extrajudicial executions. In 2014, the Supreme Court of India issued extensive guidelines for effective and independent investigation of such deaths and the judiciary monitors investigation in specific cases. I have also come across concerns raised regarding Indian judiciary’s ability for redressal of rights violations due to barriers to access to justice. The Right to fair trial and free legal aid up to the highest court are enshrined as Fundamental Rights in the Constitution of India and thus guaranteed to all individuals. So much so that as the Attorney General of India, I was summoned by the Supreme Court at 2 in the morning to hear a last-ditch petition, after several rounds of litigation, by a convict who was guilty of terrorism to escape punishment. This shows the importance attached to upholding of human rights by India. However, we remain conscious that the large backlog of cases often results in delays in their closure. The Law Commission’s recommendations on institutional changes to facilitate timely justice are being considered by the Government and the Supreme Court of India. The Government is also coordinating with the judiciary to explore other avenues. The National Mission for Justice Delivery and Legal Reforms has been launched with the specific aim of reducing delays and arrears in the judicial system. We are proud of our rich and diverse cultural heritage. Safeguarding the rights of minorities forms an essential core of our polity. The Indian Constitution enshrines various provisions for the protection of the rights and interest of the minorities. The State makes no distinction between caste, creed, colour or religion of a citizen. India is a secular State with no State religion. Article 16 guarantees that in matters of public employment, no discrimination shall be made on grounds of race, religion, caste or language etc. Article 25 of the Indian constitution guarantees freedom of religion to every individual. Article 30 gives the minorities the right to establish and administer educational institutions of their choice. Some of India’s most famous institutions of academic excellence are minority institutions. The right to free speech and expression occupies its rightful place in the core of our Constitution. As the world’s largest multi-layered democracy, we fully recognize the importance of free speech and expression. Our people are conscious of their political freedoms and exercise their choices at every opportunity. When India speaks, she does so not just for herself, but also for the larger cause of justice, dignity and human rights. With its living civilization, diversified culture, abundant natural resources, and skilled human capital, India is one of the fastest growing economies. We also acknowledge that we face challenges and issues including those that are unique to us but the indomitable spirit of our people continues to guide us. As an Indian saying goes ‘If we are facing in the right direction, all we have to do is keep on walking’. I thank you all as I conclude my opening remarks. I would like to inform the Council that the Indian delegation for today’s Review comprises my deputy, the Secretary in the Ministry of External Affairs and the Permanent Representative of India to the UN in Geneva. We also have senior officials Ministries of External Affairs, Home Affairs, Social Justice and Empowerment, Women and Child Development, Rural Development, Minority Affairs and the NITI Aayog. Before handing over the proceedings to the President, I would now invite the Vice Chancellor of the National Law University, Delhi to share with you the process that we followed for drafting of the National Report.